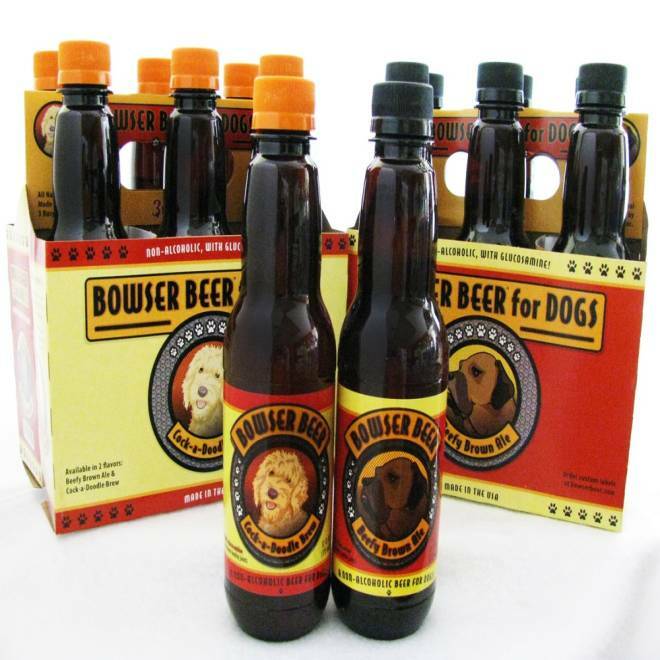 For travelers' thirsty pets, some hotels offer Bowser Beer: a malty, non-alcoholic brew that replaces hops with chicken or beef broth. “Some people give the beer to their dogs with ice or poured over a bowl of dog food. But lots of dogs drink it right out of the plastic bottle,” Brown told NBC News.